What is a ‘Monaco worn by Steve McQueen’? 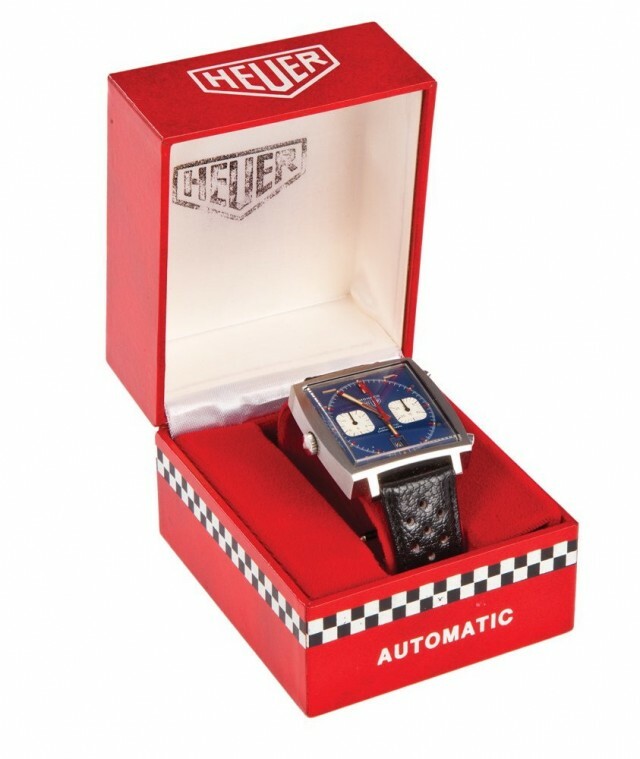 This was a question that I didn’t feel qualified to answer when I was told by a friend of a ‘Profiles in History’ auction of a watch described as “Steve McQueen hero ‘Michael Delaney’ Heuer Monaco wristwatch screen-worn in Le Mans”. My friend is a both a McQueen and a watch buff, and it was not the first worn-by-McQueen Monaco either of us had come across, but although the Monaco and McQueen combination is one of the most sought after ‘association watches’ around, with an opening bid of $200,000, whatever hammer price this was going to achieve was going to go down in the annals of both Hollywood and watch auctions as downright jaw-dropping. 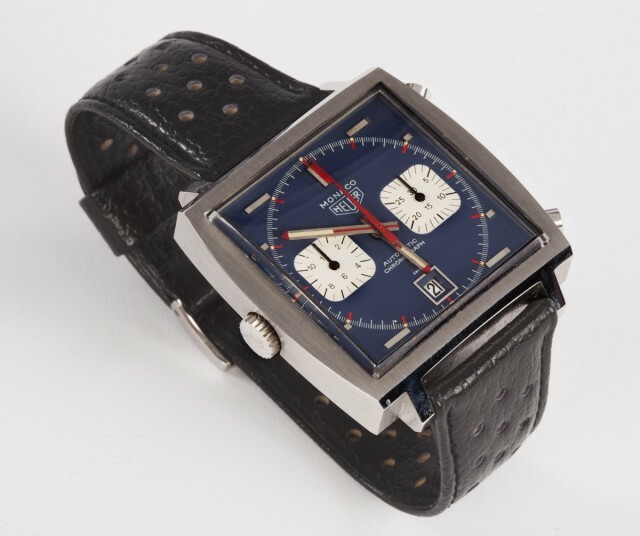 Fortunately, thanks to vintage Heuer expert Jeff Stein (aka onthedash) we know that the watch auctioned yesterday is likely to be one of four Monacos that have some right to wear the ‘worn by Steve McQueen in Le Mans’ badge. According to Jeff, the first of the four watches was worn by McQueen for the filming of Le Mans (and now at the TAG Heuer Museum), the second was worn by McQueen during the still photography/ promotional shots for Le Mans, sold by the property master in the early 2000s and subsequently owned by four different collectors, the third was worn by McQueen at Le Mans then given by him to his management consultant Bill Maher as a gift (and subsequently sold at an Antiqourum auction in June 2009), and a fourth Monaco for which he doesn’t yet have details. It is the second watch mentioned, the one used for the publicity shots, which was sold for an astonishing $650,000 yesterday ($799,500 incl premium), the hammer price also tweeted by Jeff. Since your jaw is on the ground anyway, remember that this watch model had a price of $220 in 1970, but more importantly, also remember that if you read any catalogue description of a watch saying that it is ‘the’ watch worn by Steve McQueen in Le Mans, re-read Jeff’s posts at onthedash. Immediately.